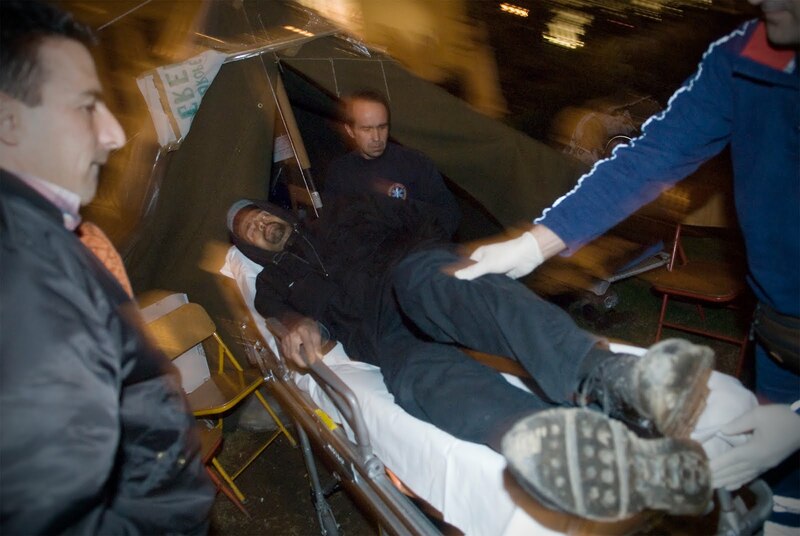 “One year after the hunger-strike in Chania: empowered by the movement’s past, for the movement’s tomorrow” – Event in Chania, Crete, Friday 20 Nov ’09. 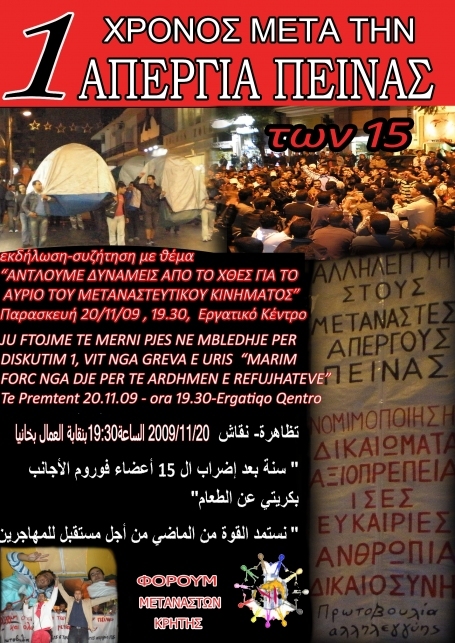 Forum of Immigrant in Crete event – open discussion about last year’s hunger strike in Chania. Worker Unions’ Center, Chania, Friday, 20 Nov 2009, 19.30.